I think the problem is not the low admit rate but whether a talented applicant will be accepted, especially the Asians. I do think the low acceptance rates and the opacity of the admissions processes at all elites are working to discourage applications from the small pool of students with truly top ability. Everyone knows the miniscule acceptance rates are misleading - most applicants are instant rejects at HYPSM, for instance. Nevertheless, the large numbers of remaining viable applicants imply that there is going to be some randomness to the process. Enough that some extraordinary applicants will judge that using their ED bump at just below the EA HYPSM level is wise. This discussion was created from comments split from: Stanford to stop publicly announcing admission numbers. Stanford announces their numbers and gets criticized. Stanford decides not to announce their numbers and gets criticized. Sounds right. "During the admission process itself, and when admission decisions are issued each fall and spring, the university will not release application numbers. In the past, information about the incoming class, including application figures, was announced every spring. Stanford will continue to provide data on application numbers at the end of the admission cycle as part of an annual public report to the federal government." The article then provides a link to a March 30, 2018 article in which Stanford announced its application figures for the class being admitted for Fall 2018. It then says Stanford will continue to provide figures to the federal government. What I am not clear on is whether this means Stanford will no longer provide the application and admission figures in the Common Data Set (CDS). The CDS is something filled out and published in Fall for the Fall class that has already enrolled, i.e., it is not something created during the "admission process" of the class to which the figures apply but instead something that is only provided after that admission proces is long over. If it is still going to provide the figures in the CDS, then essentially little has really changed since majority of colleges do not publish application and admission numbers of their incoming classes until they issue the CDS for the already enrolled class. Moreover, the CDS is a document relied on by US News to provide rankings (USNews created the first CDS and is still one of the principal creators of any changes). USNews uses application and admission figures from the CDS as a factor in determining ranking. The US News ranking information released in August annually is actually always a year behind in that the figures it is relying on are for the prior year's starting class not the new one starting in the current August. If Stanford is actually going to cease providing figures in the CDS that would seem to create an issue for US News in determining its ranking. In the past, when a college has refused to provide key information relied on by US News in the CDS, US news has either lower their rank or "unranked" them. Is that something which will occur with Stanford if it refuses to provide figures in the CDS? Well, now that I have looked further, a report from later yesterday shows that Stanford has answered the question: it will continue to provide its application and admission figures in the Common Data Set. 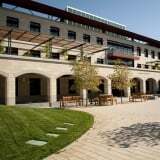 https://www.insidehighered.com/admissions/article/2018/08/31/stanford-will-stop-telling-world-about-its-admission-rates. Thus, there really is no reason at all to praise or condemn Stanford for making a change because it has not made any change of any real importance. The title to the orginal post should probably be changed to: "Stanford finally joins majority of colleges in not providing its application and admission figures until published its Common Data Set." First, I believe Stanford is increasing its class size every year; they plan to grow. When my kid said he wanted to apply to Stanford (we told him he can apply to any schools as long as he applied to UCLA, Berkeley and one OOS Honors College that offered merit money to NMFs), I told him he won’t get a Regent scholarship from UCs but he does have an interesting application to have as good chance as anyone to get into HYPSM if he wrote good essays. I am glad he wanted to apply. "We need more transparency not less." At these high application levels, there in no such thing as "transparency." You have to read a few thousands applications to get the picture! SATs, ACTs, GPAs, a list of ECs and a socio/economic grouping are elements of a painting, but not THE painting. Decisions turn in a subjective direction, by necessity. Think of the best novels you have read and then tell me why you rated one higher than another. Can anyone else hold a different opinion? @retiredfarmer : I agree with you, and hate to say this, but I honestly have begun to hate the articles that come out every damned year from these very selective schools (say top 30-40) where they essentially brag about the slightest increases in application numbers and admissions statistics. It almost reads like: "Look, we are getting more and more perfect on paper every year and just want to tell everyone, especially alumni and incoming students. Why, that way they can all pat themselves on the back for the increased prestige their degree will have for going to a school that went from a 5% admit rate to a 4.5% admit rate and from a 1500 SAT median to a 1510 SAT median"...it strikes me as more annoying than Stanford being "self-congratulatory" by announcing this move as one poster put it. These schools have very intense propaganda machines that go out of their way to sell surface level prestige almost as much or more than things that will affect or enhance the student experience if they are admitted and decide to matriculate. Sadly, it is and has been an effective feed-forward system and it seems that some view the admissions statistics as basically the only thing that signals the health of an institution despite the fact that effective marketing and communications can yield far bigger returns in this arena than actual increases in academic/institutional quality/character. Just sell something that glitters to prospective students, but ain't actually gold via your communications team and Voila! Watch the apps pour in. @Rivet2000 : No one says it doesn't. But there are no doubt many places over-selling products or putting on fronts in certain areas because of the naivete of the "buyers" who do have certain values. Play to those values and put them front and center in hopes that people will be enamored enough to ignore any weaknesses. Let us not pretend all these top schools are perfect/not full of stuff at times in the way they market. The way they market at this point, they don't need to sell "getting even better" instead of "look, we've always been better than most places, have a good rank, are fun, have pretty campuses, and extremely nice facilities". Basically, for some prospective students, doesn't take but so much. Sell good vibes and college stereotypes and you have a winner. This is even easier if you have a high rank. "One of the rules of marketing is "first have a great product". So, by that rule, Stanford is in good shape........"
That's not exactly one of the essential rules of marketing, it's a nice to have of course. And what proof do you have that any of these universities have a better product than the other? Having a great product makes marketing very easy - common sense. I am not making any claim, I am asking for supporting evidence for the claim that top 30-40 schools are only marketing good vibes.